7 nights in comfortable 3 star hotels. Warm welcome and good local cuisine. 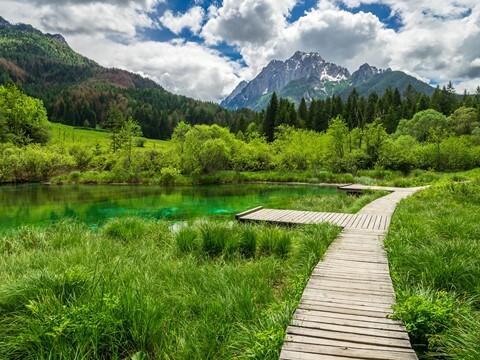 This multi-centre based walking holiday will allow you to discover the most beautiful sights of Slovenia including Triglav National Park with its dramatic mountains and beautiful lakes, its limestone plateaux & gorges, as well as its small but pictureque coastline. 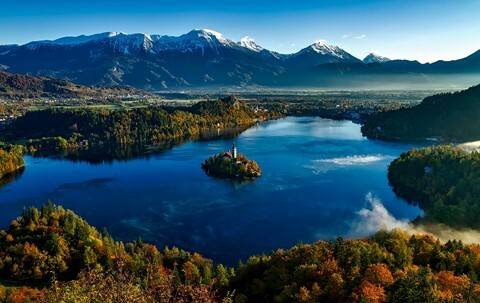 One of the highlights is the stunning Lake Bled surrounded by Alpine summits. 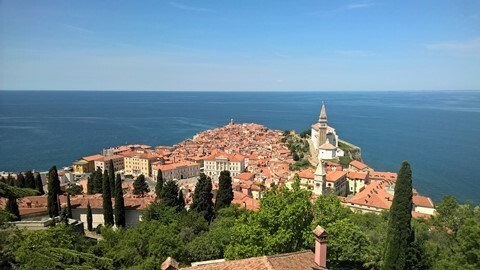 You'll also get to explore several historic towns such as Piran, Cerko and Idrija. 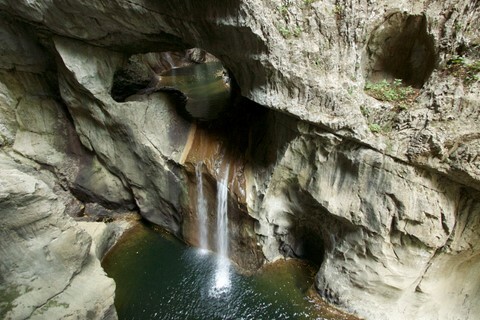 This self-guided walking holiday requires you to have your own car to drive between the different locations. 6 days independent walking. Circular walks from several hotels. The walks average 4 and a half to 5 hours per day with an average of +550m ascent. Maximum altitude gain in one day is +800m, but all of the walks are optional. Your walking holiday in Slovenia is on varied terrain on tracks and paths which are sometimes stony. The paths are on limestone, which can be hard on your feet. Arrive at your hotel by Lake Bled. If time permits, take a stroll along the edge of the lake in a beautiful setting. After your walk, 2 hours drive to Idrija, via small picturesque roads and Lake Bohinj to reach a less well- know valley. 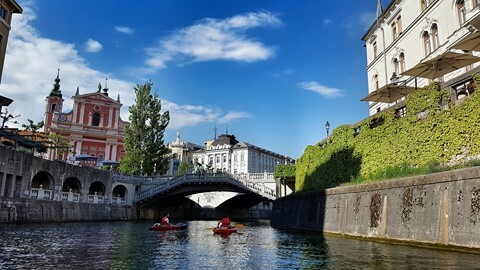 Holiday ends after breakfast or book an extra night in Ljubljana to have further time to explore Slovenia's capital. 7 nights in comfortable 3 or 4 star hotels on a half board basis (with exception of one evening meal). Rooms for 2 with private bathrooms. Warm welcome and good local cuisine. A couple of the places are detailed below. Hotel Jozef is a boutique hotel located between the historical city centre of Idrija and the entrance to the Mine Museum. This modern and functionally equipped four-star hotel is comfortable with good service and food. Set in the heart of Bled, Rikli Hotel enjoys an elevated position boasting panoramic views of Lake Bled, its Castle and the Julian Alps. It features a modern spa centre with indoor and outdoor pools. For this independent walking holiday you'll need to have your own car to be able to move between hotels and to access some of the walks. All major car hire companies in Ljubljana and its airport. Trains from all major european cities. From the UK trains go via Paris, Stuttgart and Munich.